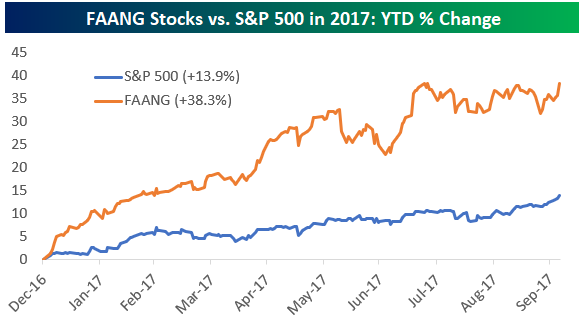 Remember earlier this year when the “FAANG” trade of Facebook (FB), Apple (AAPL), Amazon (AMZN), Netflix (NFLX), and Alphabet (GOOGL) was the only thing that mattered for the market? 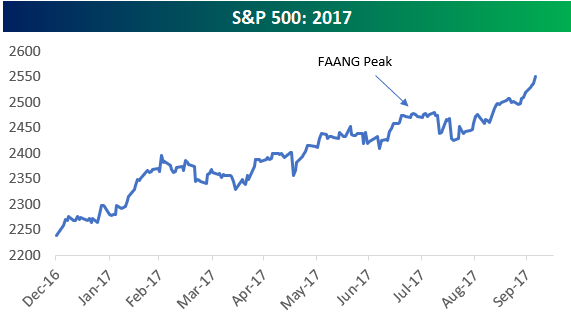 As the S&P 500 hit new all-time highs in June and July, the FAANG stocks were flying. While bulls were elated, market bears were arguing that a rally driven by just a handful of mega-cap names was not sustainable. 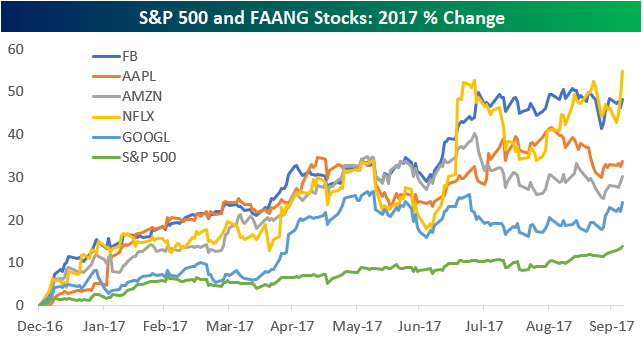 For a few minutes in late July, the broad market did pull back a few points when the FAANG trade suffered a dive. 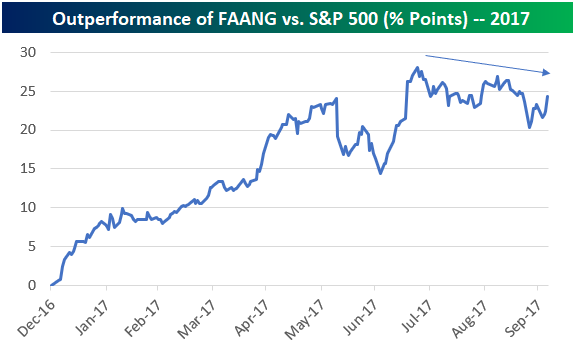 Since August, though, the FAANG trade has been a bust, but the S&P 500 has made a big leg higher. Gain access to 1 month of any of Bespoke’s premium membership levels for $1!